A woman had to be cut from a car and taken to hospital following a collision in Morecambe this morning. 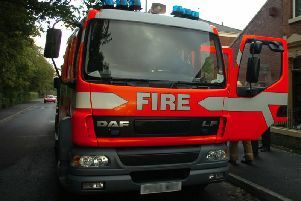 Two fire engines were called to the incident involving four vehicles in Lancaster Road at 8am on Tuesday August 7. Firefighters used cutting equipment to release the woman from the car who was then taken by paramedics to the Royal Lancaster Infirarmy. North West Ambulance Service said that at the moment there were no specific details on injuries, but they were not thought to be life threatening. Police announced that the road was re-opened at 10am. Lancaster Road. Image courtesy of Google Streetview.